Small halls, big halls, private concerts, drawing rooms, large theatres, lake shores, castle ramparts.... - you name it I've performed there! 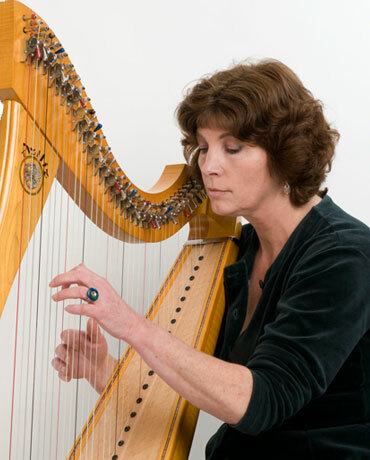 When invited, I mostly play my own contemporary compositions for harp alone or for harp and voice. Some pieces have a traditional feel while others flaunt a flavour of jazz and blues. I also compose my own arrangements to established lyrics and am at my best playing powerful, rhythmical pieces which the clarsach lends itself to very well.